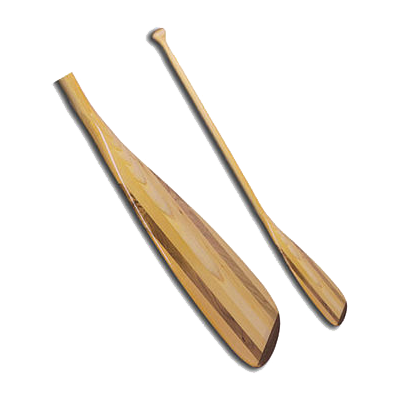 Pair your composite canoe with this paddle. It will boost your efficiency and stamina. 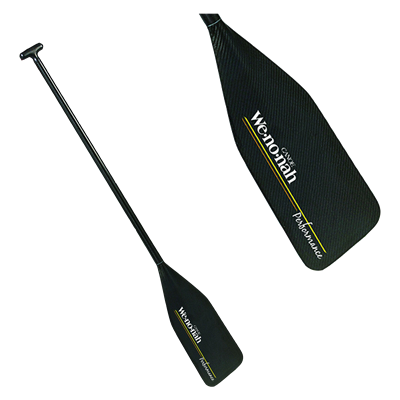 Features a T-grip handle offering better control for Canadian and J-stroke styles. 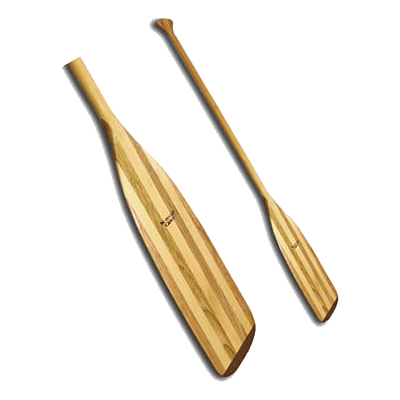 Light & rugged, has the good looks of wood and the durability of composites. 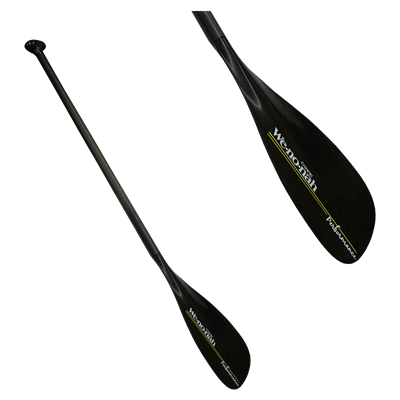 A straight-shaft excellent paddle for touring and tripping for Canadian-style paddlers. 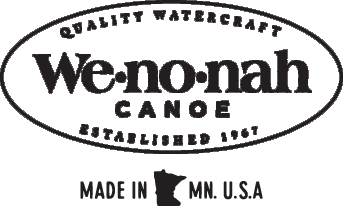 A balanced and beautiful elbow designed by Wenonah founder Mike Cichanowski. 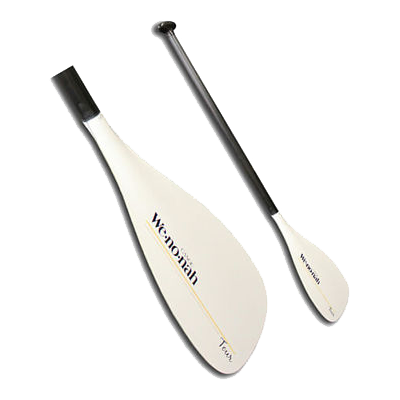 A carbon shaft and handle fixed to a fiberglass blade makes for a great weight to price paddle. 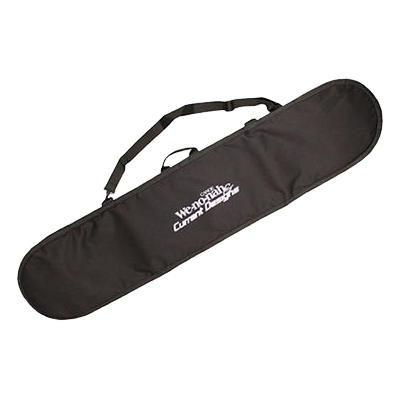 Padded bag with zipper. 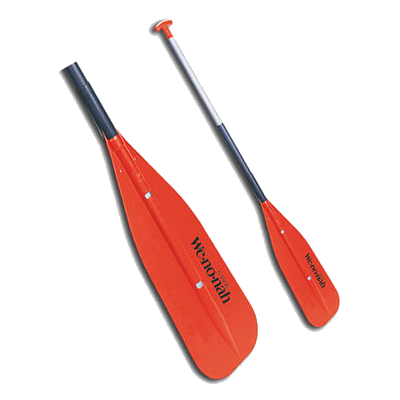 Holds two 56" canoe paddles or a 2 pc. 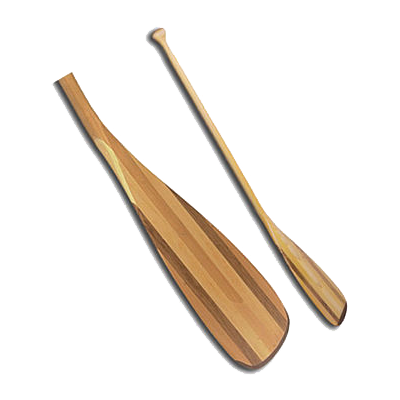 kayak paddle.